Diane Bernard scans the waters off Vancouver Island’s rocky shore with the practised eye of someone who has lived beside the ocean for most of her life. Her eyes are sea green, not quite as intense as the emerald colour of the sea lettuce she’s munching on as she talks. So she decided to stay put. Bernard, now 56, runs a growing business based on the ocean garden she knows so well. 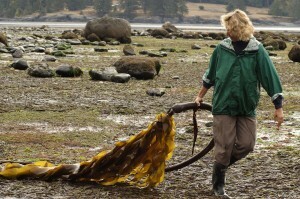 Her parent company, Outer Coast Seaweeds, supplies edible seaweed to a number of high-end restaurants in Vancouver and on Vancouver Island. 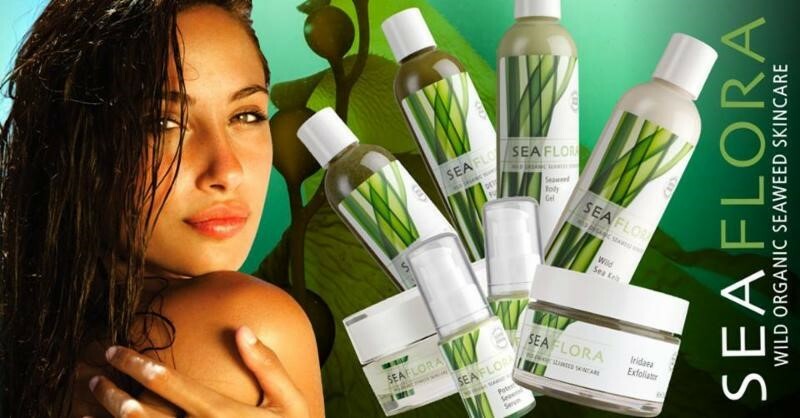 Its offshoot is Seaflora, a line of skincare products based on seaweed, ocean mud and sea water. Swapping business suits for gum boots is a sea change that would be difficult for most people to fathom. But it was a natural for Bernard, a third-generation seaweed aficionado. In her grandparents’ generation, people used seaweed to stuff mattresses and insulate buildings. Before fishing boats had on-board refrigeration, the fishermen on the Gulf of St. Lawrence’s îles de la Madeleine, where Bernard grew up, used it to keep lobsters cool while they were out at sea. Her uncles chewed dulse, a type of dried seaweed, instead of tobacco. It was the perfect raw material because it was available, plentiful and free. “In those days, it was about survival — you used what you had,” Bernard says. 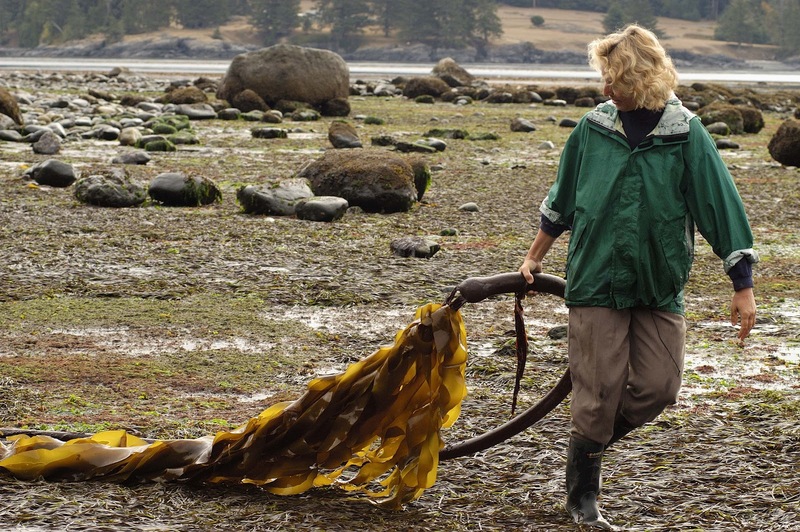 But even with that family history, seaweed didn’t immediately spring to mind when her husband, George, a water quality researcher with B.C.’s environment ministry, encouraged her to take a year off work at age 49 to decide if she wanted to start her own business. She considered everything from working with wood products to growing edible flowers, but nothing seemed to hold water. “Then I’d come out here,” Bernard says, meaning the stony beach near her waterfront home in Sooke, “and think, What the hell am I going to do? and I’d be picking up seaweed and eating it. 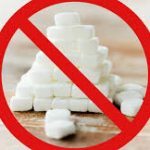 I knew it, I’m not afraid of it, and I had been exposed to it my whole life, but I never really thought about it in a value-added or commercial way.” But as other ideas fell by the wayside, seaweed kept drifting back into her mind. Her first step was a gutsy one — she cold-called five chefs and asked if they would be interested in buying locally harvested seaweed. Some were already using dried seaweed or products flown in from the East Coast, and Bernard says they “went wild” at the prospect of being able to buy a local product. It was a chef who introduced her to an existing line of seaweed-based spa products, but her first reaction was anything but enthusiastic. Although the label claimed the products contained seaweed, they were white and perfumed — about as far from the look and smell of the ocean as you could get. If they did contain any seaweed, she says, it was the kind of commercially processed powder that has been used in the past as filler in everything from car polish to gunpowder. “It’s a very harsh process that renders it down to something as white as flour,” Bernard says. She compares the difference between the powder and fresh seaweed to that between refined cake flour and whole grains — they start with the same ingredient, but processing strips away all the health benefits. She had no idea where to start, but Bernard thought she could do better. So she tried the same sales pitch she used on the chefs, but on a larger scale. She called 50 spas across the country, asking if they might buy a line of organic seaweed-based products. If they showed any interest, she invited them to come and see where the raw ingredients would be harvested. “I had 44 spa directors visit me here in Sooke over the ourse of a year,” Bernard says, a note of incredulity in her voice. “I put them in boots and we went out into the water.” They were gung-ho, but they left her with a list of requirements — the products couldn’t smell fishy, they couldn’t run when applied to a client’s face or body, and they had to look authentic. Instead of sweet-smelling white creams, they wanted to see chunks of seaweed in the products, so customers knew they were getting something fresh from the sea. Armed with that info, Bernard embarked on 18 months of trial and error. She worked with chemists to come up with formulas that would keep all the beneficial qualities of seaweed, which is rich in vitamins and essential fatty acids, without chemical preservatives. She tried different methods of processing raw seaweed, from freezing to cold-pressing, drying and grinding. Today, the Seaflora line incorporates 26 products, ranging from facial cleansers to body wraps, in sophisticated green and white packaging. They’re used and sold at destination and day spas across Canada and the U.S. Over the next few years, Bernard wants to expand the line to about 40 products and export to the United Kingdom, Taiwan and beyond. “Seaweeds are very simple and elegant in their form, in their growth and their reproduction,” continues Bernard. They are algae rather than land plants because they have no roots; they anchor themselves to stones and rocks with hold fasts and sway in the currents, drawing in nutrients through their fronds. And when they’re fresh, they smell nothing like a compost heap. She picks up a piece of rockweed, remarkable for its leaf-like fronds tipped with bulging pods, and pinches a pod until it exudes a clear gel that feels silky and smells not even remotely fishy. 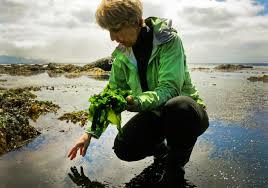 Seven years ago, she started offering tours of the seaweed beds in Sooke to educate the public about what she considers to be a largely ignored natural resource. About 700 varieties of seaweed grow in the waters off B.C.’s coast, and the range of colours and textures is astonishing — from the rubbery chocolate brown of laminaria to the glossy red of iridaea, which has the texture of pebbled leather. 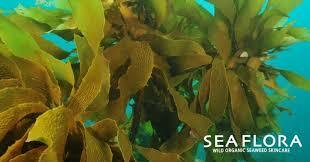 Seaflora now accounts for 80 percent of Bernard’s sales, with edible seaweed products now bringing up the rear. 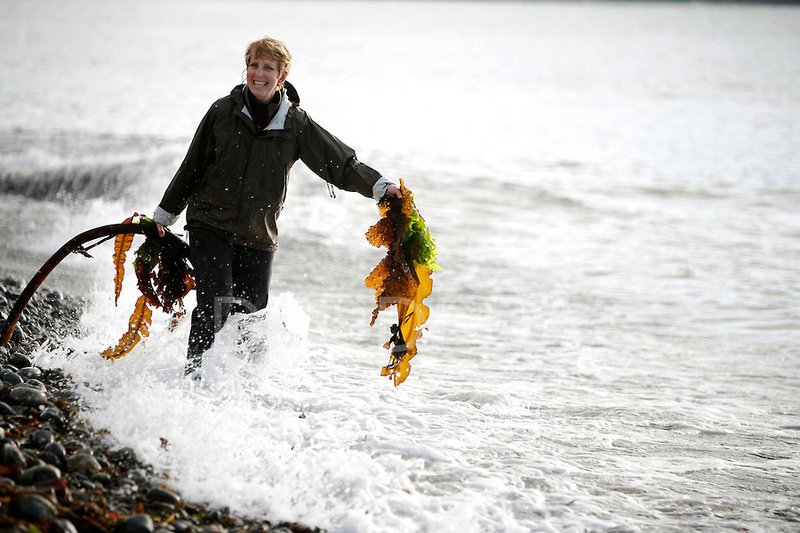 She has eight full-time staff — almost all female, and all but one over age 35 — as well as six sales reps across North America and half a dozen seaweed harvesters, who pick by hand from April through September. Letting go is also something she had to do as a parent. Daughter Leah, 23, has been studying agriculture and food security at the University of Copenhagen, while son Adam, 25, is in Thailand working as a scuba diving instructor. She’s delighted that they’re finding their own paths, although she’s looking forward to having them both a bit closer to home. Leah has recently moved back to Vancouver to complete her studies, while Adam wants to see the world for a few more years before heading home to finish his education. All of the Seaflora products and facias are available at K-W Homeopathic Medicine and Wellness clinic. Please call 519-603-0505 to book your next appointment!